My 'big picture' hiking project is to walk between every place I've ever lived--that is to connect my life via a continuous string of footprints. I call it my Personal Continuous Footpath (PCF); and I've made the backbone of it the Appalachian Trail (AT). Two years ago I lived in Eldersburg, MD and did the hike from there to the AT at Raven Rock Hollow. From Eldersburg I've also connected my footpath to most of the other places I've lived in the vicinity. But now I live in North Carolina on the beach, and the closest way to make the connection by foot is about 300 miles of road walking. Fortunately a good chunk of that can be hiked on the Mountains-To-Sea Trail, and I've already made a start on that in the vicinity of my beach home (just check posts here with the Mountains-to-Sea Trail tag). But over the past few days I've made progress on the other end, hiking from the Appalachian Trail at Blackhorse Gap, VA to the south side of Bedford, VA. The first piece of that hike, down from Blackhorse Gap to the Day Creek trailhead is off-road, and I hiked it on December 30, 2011 as a warm-up hike for my 2012 AT double thru-hike. But I've included that in this trip report for completeness. 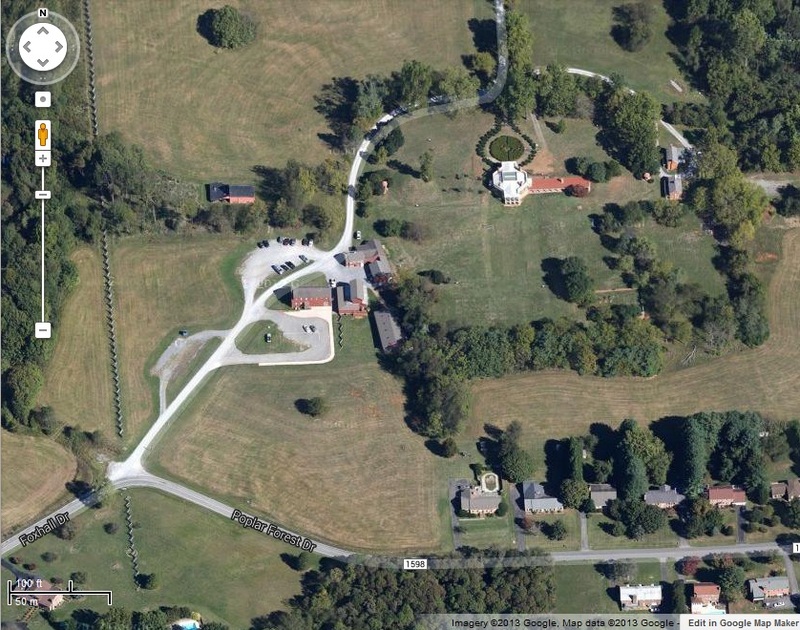 The rest of this leg to Bedford VA follows the major highway US 460. But I did very little hiking along the actual highway. There is a nice country road called Irving Road that parallels it for part of the way. There's another piece of back road in the town of Thaxton that I took advantage of. Then there's the railroad tracks that parallel the highway. I did a couple pieces on the tracks. The weather was perfect. An early cold front had pushed through Virginia and North Carolina and stalled where I live at the beach. So it was a rainy, chilly, cloudy spell of weather at the beach. But up in Bedford, VA the sky was clear, humidity low and temperatures ranged from morning lows in the low 50's to highs in the mid 70's F. Wind was light, and because of the wet summer, everything was lush and green--unusual for mid-August. Bedford, VA is a beautiful small town with a thriving historic downtown district. The economy seems to be thriving there, in part because of an influx of higher income commuters and retirees--people who choose to live there but work in Roanoke or Lynchburg. 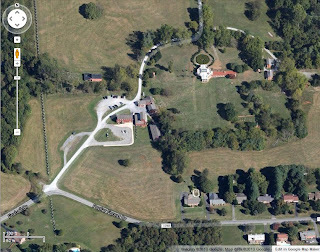 I wasn't there to check out the historic sites like the D-Day Memorial or Thomas Jefferson's 'rural' retreat/getaway at Poplar Forest, so I'll let the reader explore those via the links provided - well, here's a Google Map preview of Poplar Forest, just for fun. The sights I did take in along the way are recorded in the photos that are part of the slide show I set up on Every Trail. Hope you enjoy. If the 'flash' enabled map at the top of this post gives you problems, let me know, and I won't use it any more. But just in case, here's the non-flash version which is a link that will take you to the web page where you can browse the photos, etc.